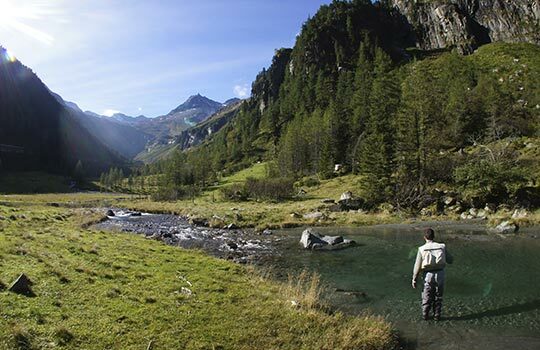 Spectacular fly fishing tour using two operations centres located: 1- on the south side and 2- in the central region of the Alps. 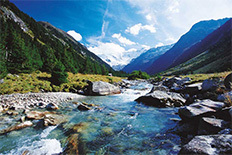 We are in the Alps, surrounded by the best rivers, lakes and streams for fly fishing in the Alps. 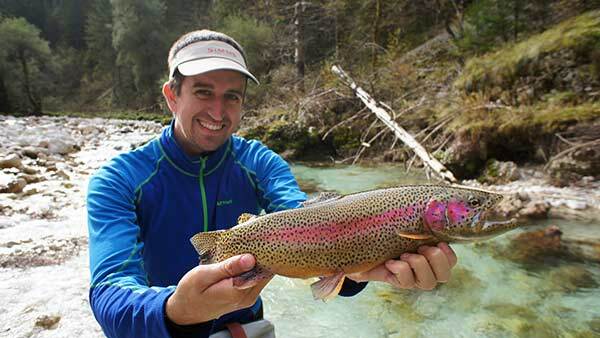 Fly fishing in the Slovenian and Austrian Alps is one of the best-kept secrets in the world. 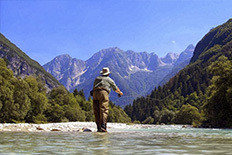 The turquoise waters of its rivers and alpine lakes have excellent trophy stocks of brown trout, Rainbow Trout, Marble trout, Brook Trout, Danube Salmon and Adriatic Grayling. 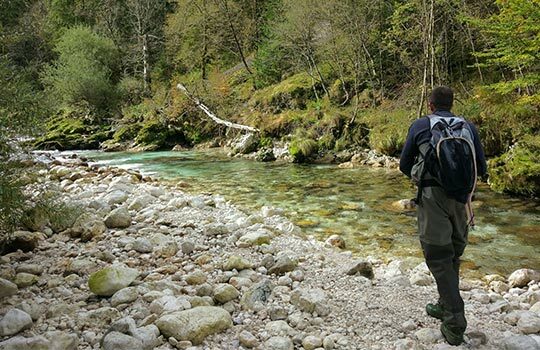 For this impressive fly fishing tour, we will use our two operations centres located in Tolmin and Mittersill. Species: Brown Trout, Marble Trout, Rainbow Trout, Danube Salmon and Adriatic Grayling. Time of the year for the tour: April to October inclusive. Duration of the Tour: from 6 to 15 fishing days. Number of anglers per guide: Maximum 2 (several guides for large groups available). Transfers to airports and fishing areas. Luggage transfer service at the operations centre. Transfer service to the operations centre from which the tour begins for anglers arriving by personal vehicle. Breakfast and lunch at the hotel. Gourmet picnic lunch with wine on the river. Drinks served on the river. Drinks at dinner and hotel. On initiation of the operation in Tolmin our company offers provides transfers from Ljubljana and Klangenfurt Airports. 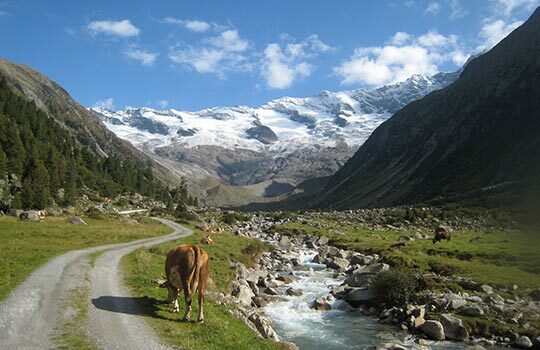 For the operation, we offer transfer services to Munich, Innsbruck, Klagenfurt, Venice, and Ljubljana airports and Tolmin for those anglers who have used a vehicle on arrival.